Dr. Tim Gilmore of jaxpsychogeo.com shares the story behind a local Mayport institution: Singleton's Seafood Shack. Ten blackened shrimp on a spit lure me down A1A, the one road to the old fishing village, across salt marshes and island keys. The smell of the ocean envelopes the scrub oaks and grasses. The fogs and mists drip salt. Over the mouth of the St. Johns River leans Singleton’s Seafood Shack, a pile of rooms and decks cobbled together with rough lumber and plywood. The floors tilt and turn. From the original structure, the floors slope down on pilings toward the river. Nets and sailfish deck the walls. A room by the back deck is windowed with chicken wire. 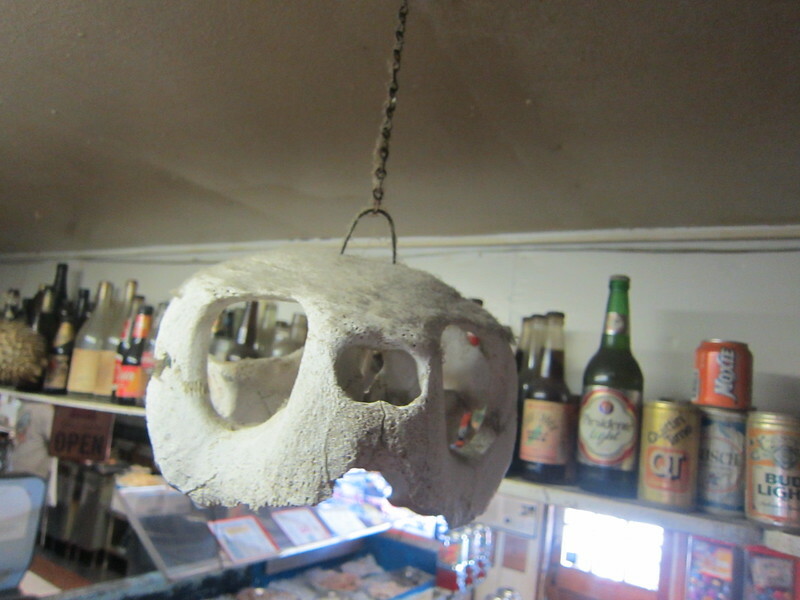 Various maritime skulls collect a centimeter of dust where they hang from the ceiling by the bar. Singleton’s is Florida. The sunshine burns you. The bar’s dusty. The wood’s unfinished. The food comes right from the water, every day. There’s no golf course here, no Cinderella’s Castle. 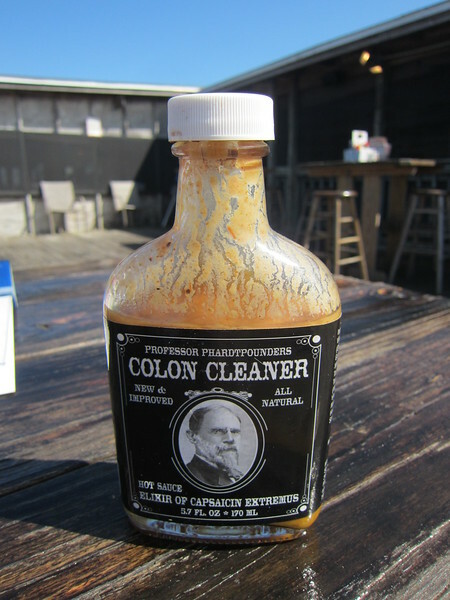 There are, however, bottles of a hot sauce called “Colon Cleaner.” From deep morning before light, the catfish, the shrimp, the crabs are caught off shore, hauled in, cleaned, prepared, and eaten. Cats bask in the sun and prowl the porches and docks. When the Food Network’s Guy Fieri, host of the TV show “Diners, Drive-Ins, and Dives,” visited Singleton’s in 2010, Dean Singleton prepared for him his mother Ann’s shrimp burger and his father Ray’s fried gator tail, Minorcan chowder, and blackened sheepshead. Now I’m eating al dente crustaceans that yesterday swam in the shadowy waters behind me. I pick them up by their tails, squeeze them gently, and pop into my mouth the meat from their shells. Most of the earth’s surface is water. These many-legged, pop-eyed, robot-antennaed, swimming shelled creatures lay across my paper plate like martyred bug-goddesses. I’m talking to my dear friend Hurley Winkler, who first told me about this place. We speak of Italy and the Everglades. I eat Mayport shrimp all over town. 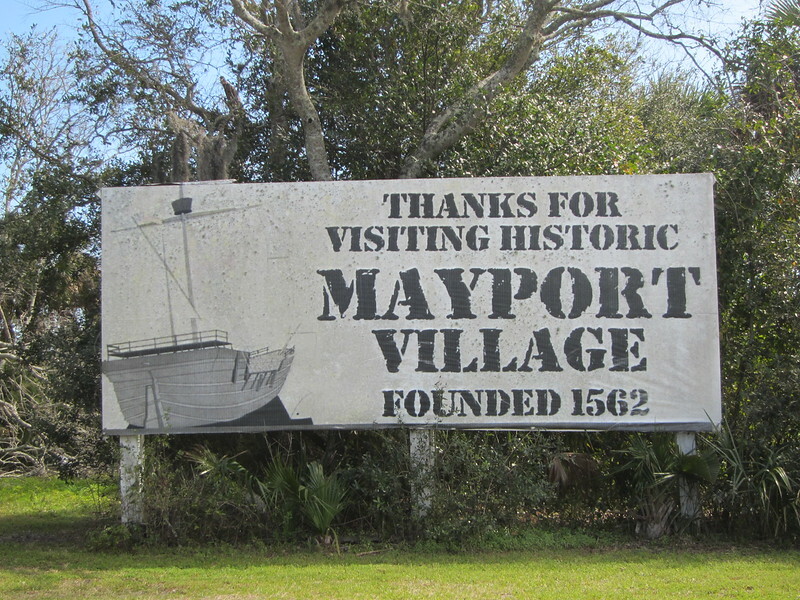 Today, I’m eating Mayport shrimp in Mayport. It calls itself the oldest fishing village in the United States, but dates its founding to 1562 when Frenchman Jean Ribault first landed here among the Timucuan Indians. The village came later and not much of it’s left. The bartender’s worked here for 31 years. A decade ago, he says, Singleton’s was one of a line of village seafood establishments. Strickland’s went out of business next door and the others sold to developers who wanted to build the kind of cookie-cutter condos that crawl like cancers on Florida’s coasts. Dean Singleton held out. 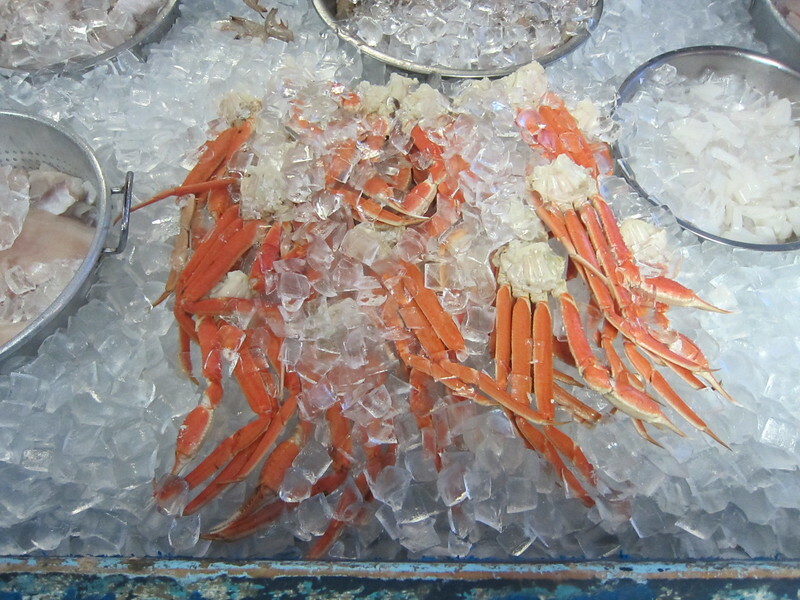 Offers of $10 million to buy the Seafood Shack failed to tempt him. 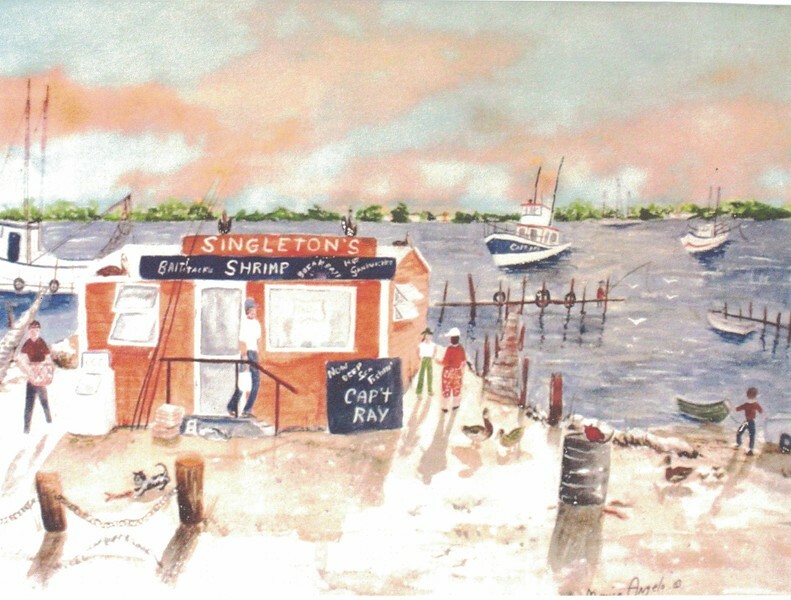 The current restaurant opened for business in 1969, but if you include the family’s prior sea shanties, Singleton’s has served fresh fish and shrimp here for 71 years, since 1945. A painting by local artist Monica Angiuli shows how the shack looked years ago. Ray and Ann Singleton started the restaurant in a 20-by-20-foot building, and Ray’s own boat hauled in the restaurant’s fare. Ann’s paintings of pigs now hang over the full bar.